The theme this year is Transformative Collisions. At C2 Montréal, the core belief remains the same: that it’s at the intersection of commerce and creativity that innovative and actionable solutions to the challenges of our times will be found. In 2011, when C2’s founders put those two C’s together, they were making worlds collide. Today, creativity is widely recognized as a key skill for any leader or organization hoping to survive, much less innovate. This is no longer a collision – it’s the strong foundation upon which prosperous businesses are built. What other collisions should be encouraged? What revolutionary new ideas could be bred by a spark between seemingly conflicting industries, organisms and interests? What brave new worlds could be born from seemingly small bangs? Look over your neighbours’ shoulders and see what solutions you could be applying to your own reality. 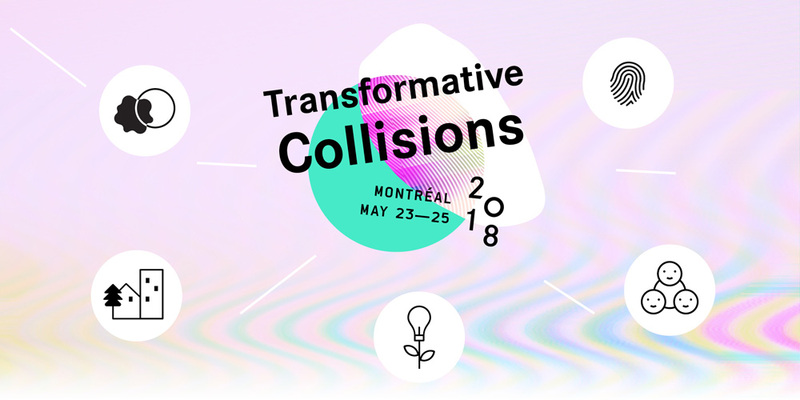 At C2 Montréal 2018 (May 23-25), the focus will be on re-energizing and re-tooling established and nascent leaders, innovators and creators from all industries and disciplines. Through orchestrated collisions, engaging discussions, purposeful collaboration and a vibrant environment filled to the brim with meaningful opportunities for play, you’ll be able to challenge your biases, reset your imagination, identify blind spots and build the new set of tools you’ll need for driving radical change. For 2018, we invite you to engage in dialogue, share your ideas and join purposeful collaboration around the Transformative Collisions theme as well as the following five key content pillars. These programming pillars – Art & Design, Society & Environment, Leadership & Talent, Marketing & Media and Science & Technology – represent topics at the centre of some of the most pertinent global business conversations across industries and in society today. 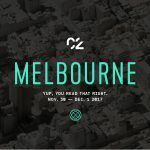 They’ll help orient discussions, establish points-of-interest and provide a foundation for your C2 journey, including Talks and Panels, Collaborative Sessions and Labs. Artfully engaging with contemporary challenges, creatives play a critical role in making sense of the world. As teachers, visionaries, agitators and iconoclasts, those who dedicate their lives to shifting perspectives and expanding our universe help nurture creative strengths and impulses in others – and inspire us to reinvent approaches to business, too. How might you disrupt and retool your own creative process? What creative practices would add value to your business? What are the next creative frontiers in art, design, fashion and architecture? How can we save the world through adaptive and sustainable design? Where will digital creativity – VR, AR and mixed-reality experiences – take you next? Where are there opportunities in creative placemaking, installation and public art? True leaders set out to better understand our increasingly interconnected world. From cities to climate change, mobility to moonshots, from food security to shifting geopolitical landscapes, knowing where you stand in the rapidly changing ecosystems of contemporary life is more important than ever. Civil society champions, city builders, peacemakers, reformers and environmentalists will be sharing their common-sense approaches, policy initiatives and take-no-prisoners ambitions to inspire you to action. Rising to both global and local challenges, seizing opportunities to bring about real change and saving the planet are on the to-do list. What roles will businesses, governments, citizens and institutions take on to change the world (for the better) in 2018? What role will you take? How might we innovate to respond to ecological and humanitarian crises – and how are these crises evolving – thanks to new technology? What are the different economic and social impacts of climate change and where can direct action be taken to prevent the worst-case scenarios? What can be done today to tackle global inequality? How might organizational structures and power dynamics change to include and empower more women? What are the possibilities of social, collective and indigenous entrepreneurship, and how will they alter the ways we do business? In the brave new world of work, technological advancements, unique markets and a liquid workforce have made business-as-usual almost unrecognizable. Meanwhile, the struggle to find, keep and optimize talent is real. Since agile leadership is imperative to success (and becoming a great boss takes time and energy), learning from the best in the biz is a sound investment in your future. Finding new ways to adapt and thrive in a shifting work environment is critical. Embracing creativity, empowering teams and realizing bold visions for a prosperous and inclusive company starts with you. We ask this every year, but how can you overcome key HR challenges in your sector? What are the skills of tomorrow? How might you anticipate the future of work? What should you know about Generation Z? What new industries are poised to make us re-evaluate entire policies and markets? How can you cultivate positive corporate culture in a new era of transparency? Where does mindfulness, mental health and flexibility fit into your organizational structure? How will you contribute to ending wage discrimination, inequality, sexism and lack of diversity on your teams and in your organizations? Brand experts, broadcasters, retailers and storytellers have quite the brief these days. Competing for a fractured audience that has a seemingly unlimited choice of content (and increasingly shorter attention spans) means landing the narrative (and making an impact) is a defining challenge. Meanwhile, the traditional pathways and tools of marketing, media and entertainment are in flux. Finding and successfully using new ways of reaching and engaging tomorrow’s audience is critical. With the old terms of engagement out the window, learning new strategies from intrepid brand explorers, influencers and content wizards is as important as ever. What are new ways of telling stories that defy the ages, and what do you need to add to your toolkit? Where is there room to play with the dynamics of content creation, monetization, distribution and brand building? Is the future of marketing social? How will you respond to changing consumer behaviours? Who are the creators standing out and shaping the future of live entertainment as we know it? Where should you look for new perspectives and approaches to media? How can you best use new technologies that are making content and live experiences more personalized and increasingly interactive? What are the latest social cues? How are the principles of storytelling shifting, and what does that mean for you? We’re standing on the cusp of a dramatic transformation in the way we work, communicate and move through the world. Artificial intelligence and machine learning, quantum computing, gene-editing, cryptocurrency, robotics and other game-changing tech is here – and it’s time to use it. Practically applying these tools to activate the opportunities and possibilities that come with them is front-of-mind for business leaders looking forward. Tap into world-renowned researchers, technologists, philosophers and entrepreneurs, and take advantage of the second annual AI Forum. Make sure your business doesn’t get left behind. How will tech help you push human boundaries and affect relationship management? What are the ways you can turn data into a competitive advantage? Where can you apply the incredible potential of blockchain and cryptocurrencies? What can be done about the IT gap? What does human-centred tech design look like? How will transhumanism impact the way you live (and are you ready for a biochip)? What ethical considerations are we still working through as technology challenges fundamental notions relative to human life, work and identity? Let this programming pillars map be your guide. Innumerable collisions take place all across the C2 village over the course of the three days. 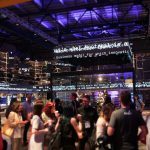 Expect dozens of hands-on sessions, Workshops, Masterclasses and Labs, thousands of Braindates and surprises at every corner. In this creative environment designed to get you out of your comfort zone, 6,500-plus leaders from all sectors of industry will be convening to inspire each other to find new solutions to real business and social challenges.